The Gaon Music Chart tabulates the relative weekly popularity of songs or albums in South Korea. It is produced by the Korea Music Content Association and sponsored by South Korea's Ministry of Culture, Sports and Tourism, with an aim to create a national chart for South Korea similar to the Billboard charts of the United States and the Oricon charts of Japan. It started tracking sales since the beginning of 2010. It was officially launched in February 2010 with a launching ceremony held on 23 February 2010 at the Westin Chosun hotel in Seoul. The launch also included a small awarding ceremony, which awarded girl group Girls' Generation with top artist of January and boy band Super Junior with best album of 2009. Meanwhile, Hit single "We Fell In Love", performed by Jo Kwon of 2AM and Ga-in of Brown Eyed Girls, took the title of best weekly mobile ringtone. South Korea's Ministry of Culture, Sports and Tourism (MCST) is a central government agency responsible for the areas of tourism, culture, art, religion, and sports. It has two vice ministers, three assistant ministers, one commission, and over 60 divisions. The first Minister of Culture was novelist Lee O-young. miss A – "Bad Girl Good Girl"
Exo – "Ko Ko Bop"
Loco and Hwasa – "Don't Give It to Me"
Miss A was a South Korean girl group, formed by JYP Entertainment in 2010, consisting of Fei, Jia, Min, and Suzy. Jia and Min left the group in May 2016 and November 2017, respectively, before the group officially disbanded on December 27, 2017. "Bad Girl Good Girl" is a song recorded by K-pop girl group Miss A for their debut EP Bad But Good. The song served as the group's debut single in July 2010. "Bad Girl Good Girl" became an instant commercial success in South Korea, topping the Gaon Digital Chart. "TT" is a song recorded by South Korean girl group Twice. The song was released by JYP Entertainment on October 24, 2016, as the lead single from their third extended play Twicecoaster: Lane 1. It was written and composed by Sam Lewis and Black Eyed Pilseung respectively. The title "TT" refers to the emoticon used to express crying or sadness. Gain and Jo Kwon – "We Fell in Love"
Wonder Girls – "2 Different Tears"
IU and Seulong – "Nagging"
Davichi – "Don't Say Goodbye"
IU – "You and I"
Naul – "Memory of the Wind"
Naul – "You from the Same Time"
Park Myeong-soo, IU – "Leon"
Big Bang – "Fxxk It"
Ailee – "I Will Go to You Like the First Snow"
Jang Deok Cheol – "Good Old Days"
Big Bang – "Flower Road"
Shaun – "Way Back Home"
MC the Max - "After You've Gone"
Son Ga-in, better known mononymously as Gain, is a South Korean singer, actress and entertainer. She is best known as a member of the South Korean girl group Brown Eyed Girls and for her appearances alongside Jo Kwon from 2AM for TV shows We Got Married and All My Love. As a solo artist she has released six EPs. Jo Kwon is a South Korean singer, MC, actor, entertainer and the leader of South Korean boy band 2AM. Wonder Girls (Hangul: 원더걸스) was a South Korean girl group formed by JYP Entertainment. The group debuted in February 2007 with the single "Irony" and five members: Sunye, Yeeun, Sunmi, Hyuna and Sohee. After Hyuna's departure in July, Yubin was added into the group prior to the release of their debut studio album, The Wonder Years (2007). The album spawned the hit single "Tell Me", which topped various South Korea's on and offline music charts. The current holder who has the most number one songs since 2010 is IU with 20. She is followed by Big Bang (10 songs), 2NE1, Sistar and Twice (9 songs), Huh Gak, Girls' Generation and Davichi (8 songs), Zion.T (7 songs). The current holder who has spent the most weeks at number one is IU with 36 weeks. She is followed by, Big Bang (18 weeks), Twice (14 weeks), 2NE1 and Sistar (11 weeks), Girls' Generation, Davichi (10 weeks). The current top 5 holders who have spent the most months at number one are Big Bang and IU with 8 months, Davichi, 2NE1 and PSY (4 months), Girls' Generation, Wonder Girls and G-Dragon (3 months). Lee Ji-eun, professionally known as IU (Hangul: 아이유), is a South Korean singer-songwriter and actress. While still in middle school, IU auditioned for various talent agencies with ambitions of becoming a singer. She signed with Kakao M in 2007 as a trainee and began her music career at the age of 15 with her debut album, Lost and Found. Her follow-up albums, Growing Up and IU...IM, brought her mainstream success, but it was through "Good Day", the lead single from her 2010 album Real, that she achieved national stardom. "Good Day" spent five consecutive weeks at the top position of South Korea's Gaon Digital Chart, a joint record along with Psy's "Gangnam Style". GD&TOP is the debut album of South Korean hip-hop duo GD & TOP, members of Big Bang. Released on December 24, 2010, the album marks the first official collaboration between the two artists. The duo promoted the album extensively, including a worldwide premiere showcase and numerous performances. Three singles were released for promotion: "High High", "Oh Yeah", and "Knockout". While "High High" went on to become a chart-topper, the latter two singles peaked at number 2 and 3 respectively. "Change" is a Korean song and the first single by South Korean singer Hyuna. It marked her debut as a solo artist but still as part of girl group 4minute. It was released as a digital single by Cube Entertainment and Universal Music on January 4, 2010. The lyrics were written by Shinsadong Tiger and Jeon Hyewon, who also composed the music. To promote the song, Hyuna appeared on several South Korean music programs, including Music Bank, Show! Music Core and Inkigayo. A music video for the song was released on January 6. So Cool is the debut studio album by South Korean girl group Sistar. It was released on August 9, 2011, by Starship Entertainment. The song of the same name was released as the title track. The album consists of 12 songs, 5 new songs and a special version of the song "Ma Boy", released by the sub-unit Sistar19. The album was also released worldwide through iTunes. "Ma Boy" is the first single by South Korean girl group Sistar's sub-unit SISTAR19. It was released online as a digital single on May 3, 2011 through Starship Entertainment. Alone is the first mini-album by South Korean girl group Sistar. It was released on April 12, 2012 by Starship Entertainment and distributed by LOEN Entertainment. A song of the same name was released as a title track with an accompaining music video. "Fantastic Baby" is a song recorded by South Korean group Big Bang for their fourth extended play Alive (2012) and released as third single of the record by YG Entertainment. A music video for the song was released on March 7, 2012. The track was described as an electropop and EDM song with an anarchistic theme. Upon release, it peaked at number three on South Korea's Gaon Digital Chart and on Billboard World Digital Songs, as well as reaching the Top 10 on the Japan Hot 100. 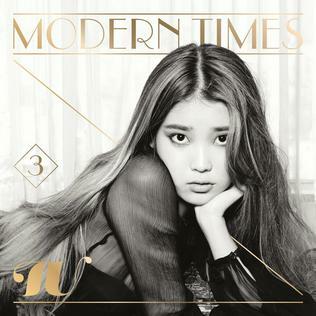 Modern Times is the third Korean-language studio album by South Korean singer-songwriter and actress IU. It was released on October 8, 2013 by LOEN Entertainment under its imprint LOEN Tree. Under the theme of "French Black", the album departs from the singer's girlish image which established her as the "Nation's Sweetheart", by attempting various styles of music such as swing, jazz, and bossa nova. This is her first full-length release since Last Fantasy (2011). GD & TOP is a South Korean duo formed by G-Dragon and T.O.P, the rappers of the K-pop boy band Big Bang in 2010. The release of their first album, GD & TOP (2010) was a commercial success becoming one of the best selling albums of the year in South Korea, and spawning the top-five hits "High High", "Oh Yeah", and "Knock Out" on the Gaon Digital Chart. After a five year hiatus, they released the single "Zutter", which peaked at number two on the Gaon Digital Chart. Insane Love is the fourth and final extended play by South Korean girl group Sistar. It was released on June 21, 2016 by Starship Entertainment and distributed by LOEN Entertainment. The song "I Like That" was used as the lead single. "I Like That" is a dance-pop song about themes of temptation, and the album includes genres like pop, R&B and ballad. Blackpink is a South Korean girl group formed by YG Entertainment, consisting of members Jisoo, Jennie, Rosé and Lisa. The group debuted on August 8, 2016, with their single album Square One, which spawned "Whistle", their first number-one song in South Korea, as well as "Boombayah", their first number-one hit on the Billboard World Digital Songs chart, which set the record as the most-viewed debut music video by a Korean act. With the group's early commercial success, they were hailed as the New Artist of the Year at the 31st Golden Disc Awards and the 26th Seoul Music Awards. "Lies" is a song recorded by the South Korean boy group Big Bang. The song was written and composed by rapper G-Dragon. It was released on August 16, 2007 by YG Entertainment as the first single from Big Bang's first extended play Always (2007). It became the group's breakout hit, topping charts in their home country for several weeks and consequently winning Song of the Year at the 2007 Mnet Asian Music Awards. The song remains one of their most critically acclaimed song to date and is often view as one of their signature songs. "Knock Knock" is a song recorded by South Korea girl group Twice for their special album Twicecoaster: Lane 2 (2017). The song was released by JYP Entertainment on February 20, 2017, as the album's lead single. It was written by Sim Eun-jee, Lee Woo-min "Collapsedone", and Mayu Wakisaka. "Through the Night" is a song by South Korean singer IU for her fourth studio album Palette (2017). Written by IU and composed and produced by Je-Hwi Kim and Hee-Won Kim, the song served as her lead single, released on March 24, 2017. Marking her return to music, the stripped-down song offers a sharp departure from her previous single Twenty-Three. "Nagging" is a song recorded by South Korean singers IU and Lim Seulong. Written by Kim Eana and composed by Lee Min-soo, the pop ballad duet was used as one of the theme songs for the second season of the variety show, We Got Married, along with "We Fell in Love" by Jo Kwon and Ga-in. "Palette" is a song recorded by South Korean singers IU and G-Dragon for the fourth studio album of the same title. IU herself composed the music and penned the lyrics with the collaboration of G-Dragon. The song was released on April 21, 2017, in conjunction with the release of the album as the album's third single, following "Through the Night" and "Can't Love You Anymore". "Can't Love You Anymore" is a song recorded by South Korean singer IU and Hyukoh member Oh Hyuk for IU's fourth studio album Palette (2017). Written and composed by IU, Oh Hyuk, and Lee Jong-hoon, and produced by the latter, the song served as her second pre-release single, released on April 7, 2017. The R&B influenced single offered a contrast to her previous ballad styled single in a collaboration that received much critical praise. "Rough" is a song recorded by South Korean girl group GFriend for their third extended play, Snowflake (2016). The song was released by Source Music on January 25, 2016, as the EP title track. 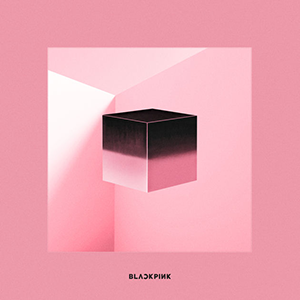 Square Up is the Korean debut EP by South Korean girl group Blackpink. It was released on June 15, 2018 by YG Entertainment. It is available in two versions and contains four tracks, with "Ddu-Du Ddu-Du" released as the lead single and "Forever Young" released as the second single. Upon its release, Square Up debuted at the top spot of the Gaon Albums Chart and went on to sell almost 179,000 copies on its first fifteen days of release in South Korea. The EP also debuted at number 40 on the US Billboard 200, becoming Blackpink's highest selling album in a Western market as well as the highest-charting to date by an all-female K-pop group. ↑ Kim, Jae-heun (June 27, 2016). "EXO, GFriend sweep local K-pop charts". The Korea Times . Hankook Ilbo . Retrieved May 4, 2017. ↑ Park, Chun-ok (May 23, 2016). 응답하라 추억의 스타! 6권. Munpia. p. 39. ISBN 9791101644729. ↑ Lee, Eun-jeong (February 3, 2010). 한국판 빌보드 '가온차트' 이달 출범. Korea Economic Daily (in Korean). Retrieved August 25, 2017. 1 2 Han, Sang-hee (February 23, 2010). "Korea Launches First Official Music Charts Gaon". The Korea Times. Hankook Ilbo. Retrieved May 4, 2017. ↑ 가온차트 사용 및 제휴 안내. Gaon Music Chart (in Korean). Korea Music Content Industry Association. August 25, 2015. Retrieved May 4, 2017.